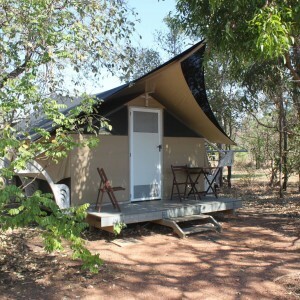 Located in an exclusive and restricted area of Kakadu National Park, where less that 1000 people a year gain access, the Hawk Dreaming Wilderness Lodge features just 12 twin share ensuited tented safari cabins. A daily Sunset Safari explores stunning rock art and sandstone outcrops before a spectacular sunset on the escarpment over the wetlands. Return to camp for a delicious evening meal presented by our resident camp host and enjoy an authentic Aussie experience as you relax around a campfire under the stars. 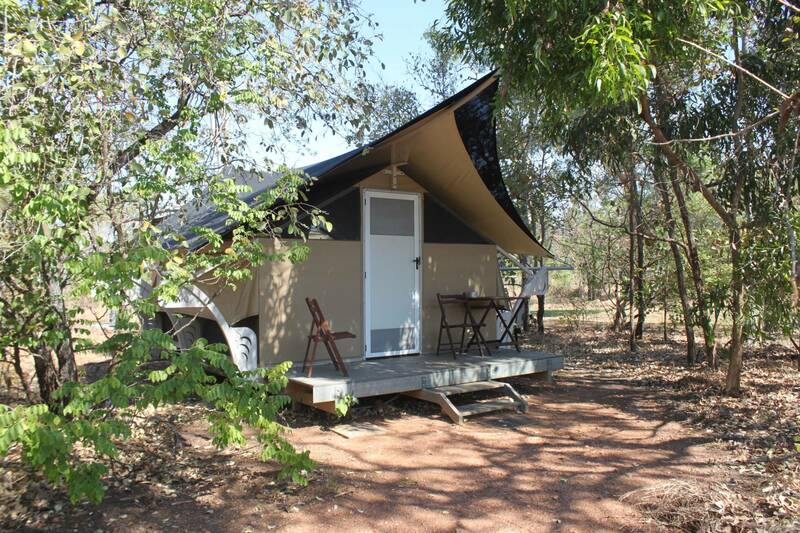 Retire to the comfort of your tented safari cabin at the end of a memorable day. 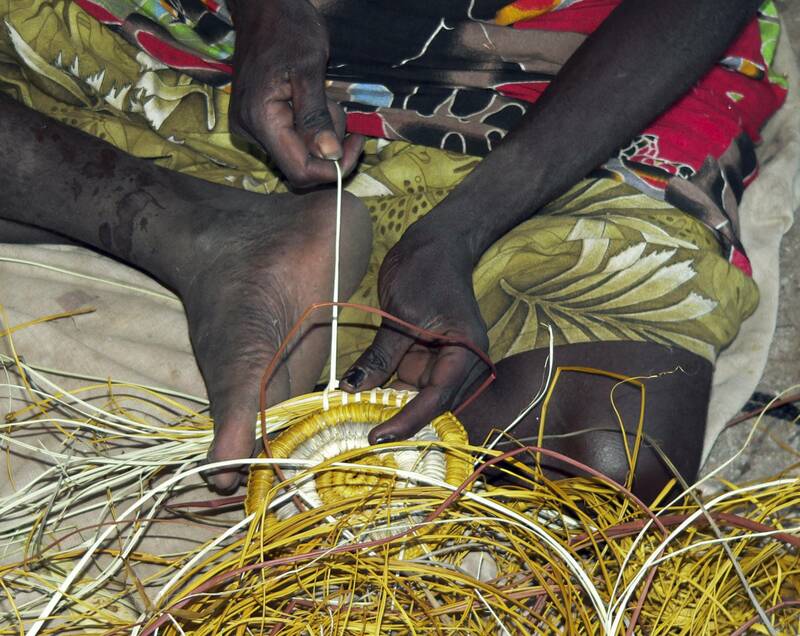 All inclusive price per person per night including all transfers, meals, accommodation, and sunset safari. Day 1: Transfer at 3 pm from Border Store to Hawk Dreaming Wilderness Lodge for afternoon rock art tour, enjoying sunset over the escarpment and floodplains followed by dinner at the lodge. Day 2: Transfer back to the Border Store at 8 am. 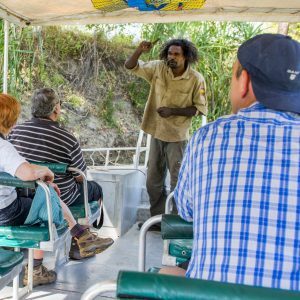 Day 2: 8 am transfer back to the Border Store in time to retrieve your vehicle and make your way to the East Alligator Upstream Boat Ramp by 9 am, where an aboriginal guide takes you on a 1 & 3/4 hour Guluyambi Cultural Cruise. 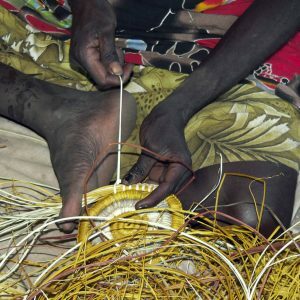 Day 2: Explore exclusive aboriginal art and cultural sites and Oenpelli’s Injalak Art Centre in Arnhem Land by 4wd before another evening sunset experience on the Cannon Hill escarpment before dinner back at the Lodge. 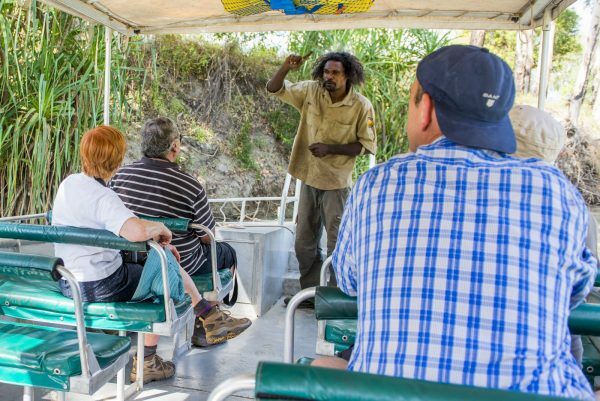 Day 3: 8 am transfer back to the Border Store in time to retrieve your vehicle and make your way to the East Alligator upstream boat ramp by 9 am, where an aboriginal guide takes you on a 1 & 3/4 hour Guluyambi Cultural Cruise.